It’s not often that you know the exact date that a movement started, but there’s an obvious start date to the beginning of bro-country. August 6, 2012 is when it started and it only took a couple months for the new sub-genre to reign supreme on the country charts. In August of 2012 a new country duo named Florida Georgia Line debuted on country radio. Their debut single was a song by the name of ‘Cruise’. Even if you have never listened to country music, you’ve more than likely heard the song. The song first topped the Billboard Hot Country chart in December of 2012 and held on to the number one spot a couple more weeks in that winter before a downright amazing run in the summer. ‘Cruise’ was the number one song in country music from April 20 all the way through August 24. This new sound reigned supreme for four whole months on the country charts. How was it successful? It was a new generation’s Beach Boys music. It took two whole years, a new duo and another debut single to see what had really happened to country radio. In the two years, the radio was crammed with bro-county songs which objectified women and promoted Fireball Whisky to no end, but it stopped in July of 2014. July 15, 2014 was when a new duo named Maddie & Tae released their debut single entitled ‘Girl in a Country Song’ which slammed the lyrical content of bro-country songs. Maddie & Tae were not afraid to call out specific artists including Jason Aldean who is a full-fledged superstar in country music with 13 numbers one singles to his name. Other superstars like Alan Jackson, Brad Paisley, Kenny Chesney and Zac Brown have all spoken out too. The battle is a tough one. ‘Cruise’ is the bestselling single of all time in country music history, but the genre has revived itself from the ugly trends that started popping up in 2012. Miranda Lambert is one of only two women that get consistent airplay on country radio right now. Between her and American Idol winner Carrie Underwood, the genre as a whole has left a lot of women behind with the bro-country craze. That fact doesn’t stop Lambert from defending the bro-country subgenre, though. In an interview with Billboard, Lambert defended the style and her friends in the business that make bro-music. Lambert’s own husband has been subjected to releasing bro-country music himself. Lambert is married to fellow country music start Blake Shelton and one of his biggest hits was one of the biggest bro-country songs of all-time with ‘Boys ‘Round Here’. 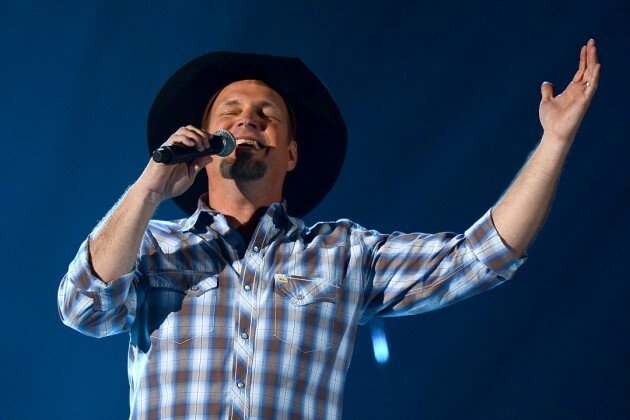 The 1990’s changed country music, but it was way before bro-country was even thought of. Some of the aspects of the songs were there with trucks and girls, but it was said poetically. 90’s hit machine Collin Raye pointed this out in an editorial he wrote on FOX News’ website. Raye compared the songs of yesteryear to the songs of the bro-country era and focused on their writing flair. In the editorial, Raye pleads for Nashville and it’s executives to move past the trend of trucks and girls while pointing out that he doesn’t hold this fad against the artists of today. “I’m not pointing a finger at the artists and especially not the songwriters. They’re simply doing what they have to do to make a living. Throughout the piece the singer with seven number one singles to his name and countless top ten hits throughout the 90’s and into the 2000’s just wants the poetry and storytelling to comeback into the genre. That’s what some who grew up on folks like Raye seem to want to. He looks like the kind of guy that would enjoy country music. A six-foot something farm kid, long and lanky, the kind that just simply looks like he knows all the words to more than a handful of George Strait songs. 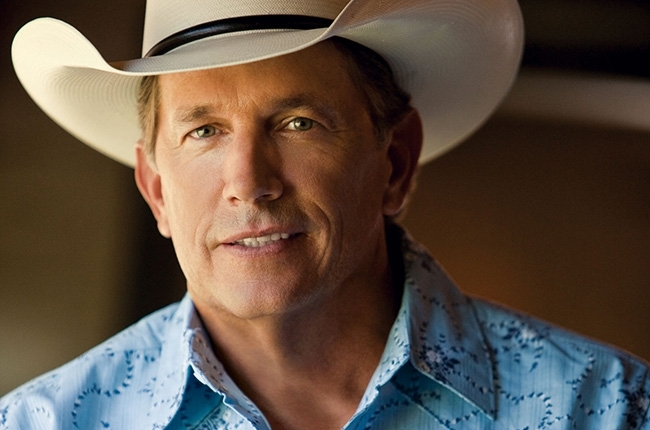 His favorite Strait song is ‘Check Yes or No’ which is pretty fitting. Logan Ahlers has been listening to country music all of his life and has had to hide listening to anything else around his family. “My parents use to have an XM-Sirius subscription and all my dad would ever listen to was Willie’s Roadhouse,” Ahlers said. Willie’s Roadhouse is the classic country station on the satellite radio provider. Real classics like Hank Williams and early Johnny Cash and George Jones. So it’s no wonder that Ahlers can’t really show his love for other music around home. Ahlers’ worries about what his father would do if he found out that he had been blasting Drake’s latest mixtape non-stop right after its release earlier in 2015.’If You’re Reading This, It’s Too Late’, seemed all too literal of a title for what his dad’s reaction might truly be. Even though he was inundated with the classics, Ahlers is still very fond of older country music. 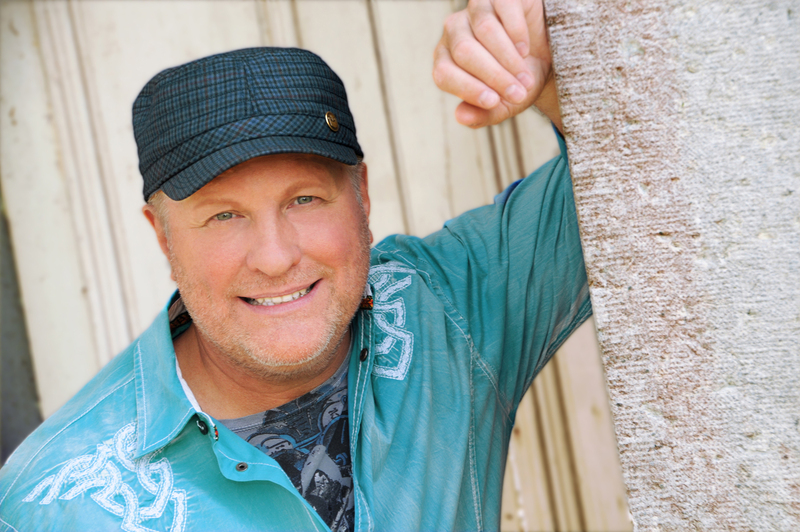 Ahlers’ His wheelhouse is the country sound that flooded the radio in the 1980’s and 1990’s and is looking for that to return to the country music that is now bouncing across America’s airwaves. Ahlers’ like many was swept up in the storm of bro-country before they knew what hit them. The sound at first was quite fresh and cool, but it soon ranked stale to most. The storytelling which made country music what it was had faded away and in came generic placeholders about good looking females and liquor, lots and lots of liquor. 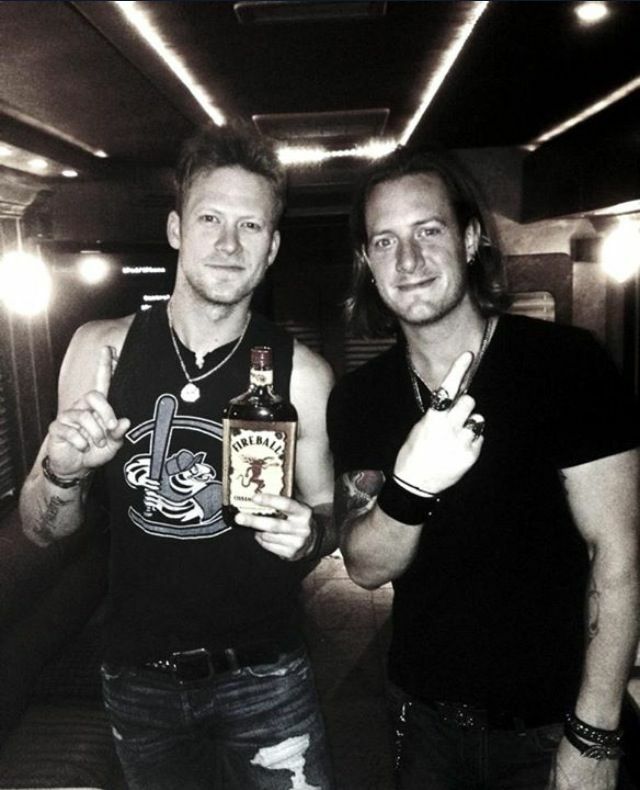 One of the drinks that Florida – Georgia Line sings the most about is Fireball Whisky. The year after the band’s big break, sales of Fireball was up 357%. The sound of the music was popular, the sales showed, but the quality of the tunes were diminishing. It was clear throughout the interview that meaningful country music is important to Ahlers. While the conversation had more than its share of raking bro-country over the coals, the optimism for the future of country music was refreshing. Ahlers currently is working on a Spotify playlist for the songs he thinks will be big in the coming summer and he enjoys putting the pieces of an almost impossible puzzle together. Maybe it’s the fact that Ahlers isn’t just listening to commercial radio solely that gives him more hope for the genre than some. Ahlers is actively searching out for good music and it doesn’t matter to him if the song becomes a hit or is even released as a single to radio. Good music is good music to him. Another one of Ahler’s Spotify playlists features the songs that haven’t made it into the rotation for a lot of radio stations around the country. This songs that just bubble around getting solidly into the charts can be the source of some real gems of great country songs that might not work as great commercially as others. Ahlers acknowledges that one of the issues that lies ahead for country music is the fact that some of the really good songs lyrically might have a hard time getting airplay. There’s a current example with Little Big Town’s ‘Girl Crush’. ‘Girl Crush’ is the band’s latest single to country radio. The band consists of two men and two females and in the song the females have the lead. The females sing about wishing they could ‘taste her lips’ which have made some country music listeners squirm, those listeners not realizing that the song has nothing to do with lesbianism. The singer wants to ‘taste her lips, because they taste like you’, that you being the man she loves. She’s just jealous of the woman and has on a ‘crush’ on her because she has the man. The other side of the coin is also there. 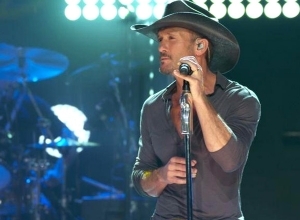 Tim McGraw’s ‘Diamond Rings and Old Barstools’ is shooting up the charts and the song has the sound of a classic country track, something that isn’t heard too often on the radio anymore. Ahlers is still kicking himself for not going to any of Brooks’ shows when he was in Minneapolis this past November. There’s three main backbones to Ahlers’ country music listening: Alan Jackson, Strait and Brooks. If only we country could be so lucky to get back to the prime of those three. Ahlers isn’t alone in that belief. Well-known names in the show business word side with Ahlers on the fact that bro-country is dead. The latest big name to let their voice be heard is Britney Spears’ 24-year-old little sister Jamie Lynn Spears. This Spears isn’t just riding on her sister’s coattails. Spears came into the public eye with her Nickelodeon teenage-driven TV show Zoey 101 in the mid-2000’s. After leaving the show and having a child at the age of 16, Spears is back but this time in Nashville as part of the country music scene. Spears released her first country album in 2013 and is writing songs for other artists too, including a song currently climbing the charts for Jana Kramer called ‘I Got the Boy’. Spears has come out strongly against bro-country saying to Taste of Country that the fad is over. Spears is counting on her fellow artists and the fans to celebrate a move towards diversity again in country music. The real metric of bro-country is chart success. Bro-country is not having the easiest time on the charts as of late. The current Hot Country Songs chart from Billboard boasts only four songs out of 25 that can be remotely considered bro-country. Big names like Jason Aldean, Luke Bryan, Billy Currington and Florida Georgia Line are responsible for the four songs, but all four artists have also proven that they are capable of releasing non-bro-country songs. To highlight it even more, the song that has been mentioned multiple times throughout by multiple people as one that is saving the genre is currently at number one. The week of May 9, 2015 boasts Little Big Town’s ‘Girl Crush’ as the number one country song with only two other bro-country song in the top 20. ‘Girl Crush’ is crushing it on multiple platforms, too. The Hot Country Chart is calculated using three mediums equally: radio airplay, sales data and streaming data. ‘Girl Crush’ is currently the number two streaming song which is paving the way. The streaming chart still has ‘Cruise’, yes that same one, at number eight on the chart. Other bro-country classics from Florida Georgia Line and Luke Bryan still remain, but the armor has been cracked. The new country system will not crush the careers of Luke Bryan and FGL. Bryan is frankly too attractive to lose much popularity and FGL has a dedicated fan base, but what is being seen and what we will keep seeing is a push back to songs with actual substance; a substance even stronger than alcohol.